On a quest to bring the sunshine indoors and add art to my bedroom walls, I recently completed a simple project. I think you'll love it, but before I explain I must confess something: I can be cheap. I don't like spending money on things that I deem to be superfluous, yet I love decorating, which admittedly, could be considered a superfluous expense. 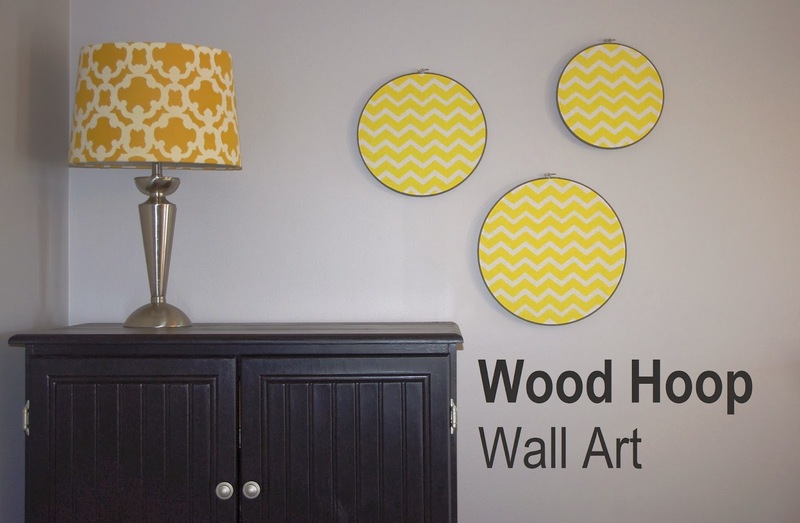 This paradox has encouraged me to find inexpensive DIY projects that a regular person can pull off, which led me to this easy wood hoop wall art. It's lovely, no? 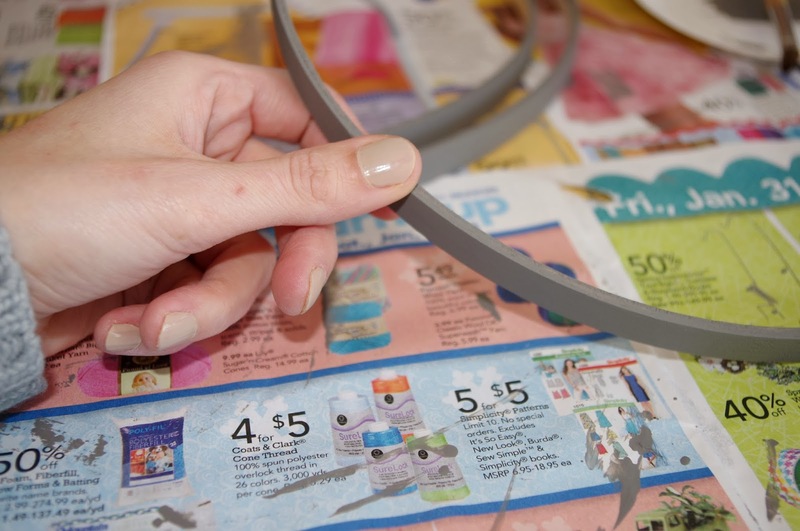 Then paint each outer hoop with an acrylic paint of your choice. I opted for a neutral gray to compliment the yellow fabric I had selected. This next picture shows my hand during the painting process. Primarily, I've added it so you can check out my fingernails. Lately, I've noticed a nail polish shade that's perfectly light and airy, pale and fresh, professional yet fun. Turns out, this is not that color. This color resembles silly putty. 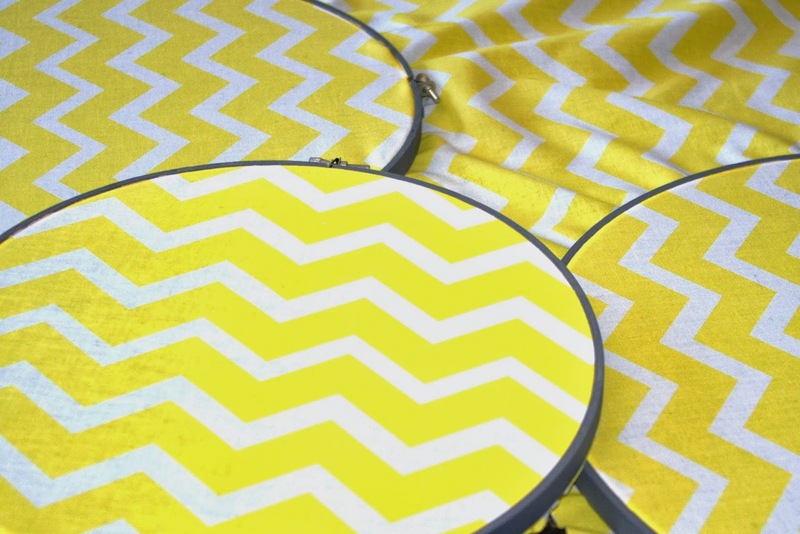 Once the fabric is secured, cut around each hoop, leaving a small edge to pull the fabric more tightly if necessary. 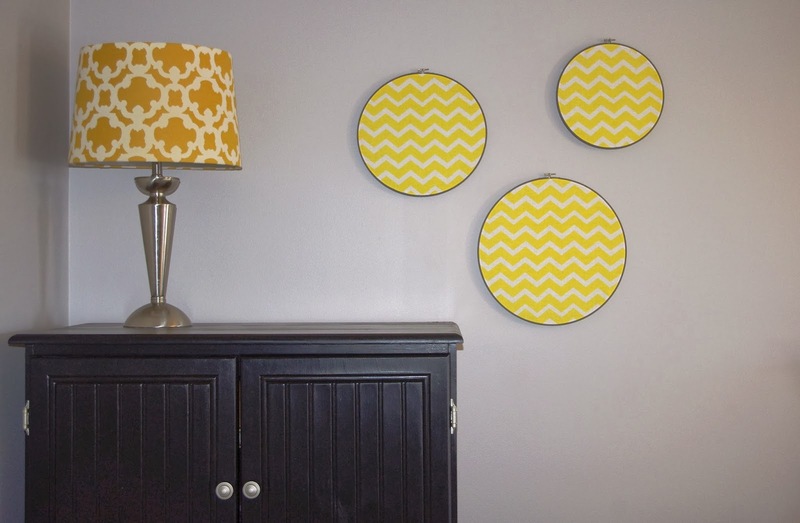 The final step is simple: hang these fabric-filled delights on the wall. They're so light that I used a simple tack nail. If you're using three hoops like I did, stagger the layout so the design doesn't resemble the Mickey Mouse icon. And that's it. All told, including the fabric, hoops, and paint, the project cost me under ten dollars, and it was completed in two brief installations: painting one day, adding the fabric the next. 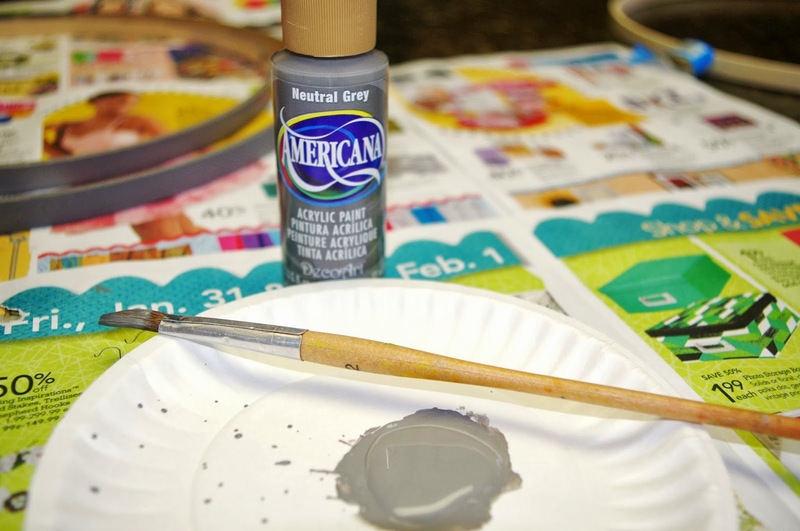 Craft on, my friends, craft on. And come back again soon, would you please? I'm still on a little kick of decorating and organizational tricks, and I'd love to have you join me! Brilliant! 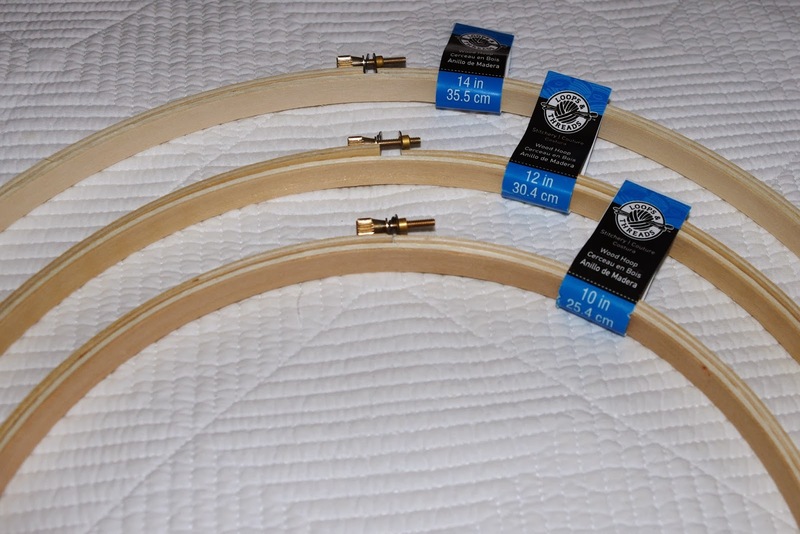 I already have a bunch of hoops from my more enthusiastic cross stitching days. I can just use those. You clever, clever lady! I love them! So easy to do too! The "ease factor" is the truly clever part. Simple as pie!